April is the smiley face you see when you first walk in the door, she joined our team in 2014 and hasn’t looked back. Her childhood consisted of convincing stray dogs to follow her home in the hopes that her Mum wouldn’t be able to find their owners. Fortunately (unfortunately for April) this was never the case. When she’s not on the front desk spoiling your pets with treats and cuddles you can find her hanging out with her goofball of a dog and best friend, Alfie the Pug x Jack Russell Terrier born in 2015 who loves dogs, people, food and just about everything in between. April hopes to continue learning the ins and outs of this industry where she feels she belongs. Meet our receptionist Kelly, who loves her tropical fish! As well as an array of guppies, Kelly has a rescue dog, Lucy the kelpie cross and four rescue cats. Kelly is familiar with dogs who have a bit of attitude, having grown up with a Maltese Cross name Kuzko, who had more than her share of sass. Tegan has had lots of pets (dogs and ducks) in the past but is having a spell right until her daughter Shelby is a little older and can then be introduced to a puppy. Emma Bridgman has a love for all animals. Cats, dogs, reptiles, fish, you name it! Emma and her 3 brothers grew up on a farm in NSW where they would adventure for hours on end. They custom built a dog-friendly tub addition for their quad bike so that their Labrador Charlie didn’t miss out on any of their escapades! As Emma left her family home in NSW her family pets stayed behind, luckily one of her new housemates in Canberra is Millie the tabby cat who sleeps on the end of Emma’s bed and helps to give Emma her animal ‘fix’. Emma joins us in 2018 as part of our Customer Care team. She’s keen to learn about the ‘behind the scenes’ action that comes with caring for the patients here at Hall Vet Surgery and can’t wait to meet all of your pets! Lizzie is studying Veterinary Nursing through Open Colleges with the help of the staff at HVS. She is very passionate about all animals! Other then studying, in her spare time you will find her on the farm doing sheep work, riding horses, at rodeos and taking her two Labradors Daisy and Dora for runs through the reserves near her home. Lizzie is excited to further her career in animal studies. Susanna grew up in a large family where she was one of seven siblings so you can imagine that she feels right at home in our big, crazy team! Susanna has always had a love for all kinds of animals including her two year old Kelpie Cross Indie, but nothing comes close to the love she has for her horses Tino and Milo. Tino is a 15 year old male Warmblood and Milo is a 14 year old female Clydesdale Cross. 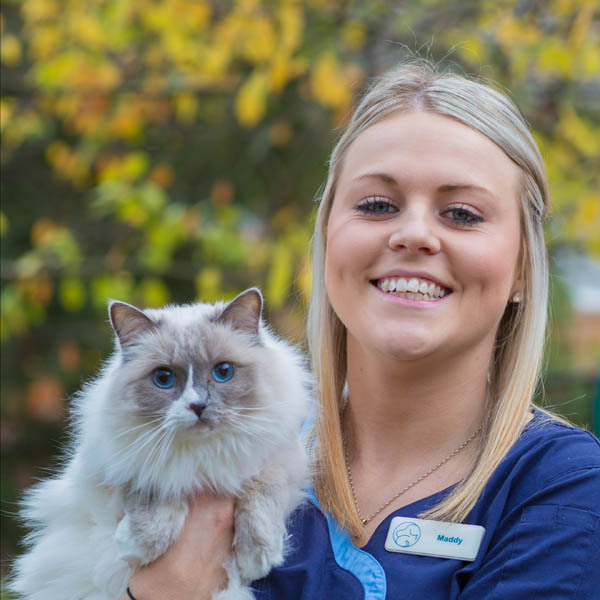 It is only too fitting that Susanna finds herself studying her certificate IV in Veterinary Nursing as well as helping out on Reception at both Hall Vet Surgery and our sister clinic Canberra Cat Vet. Keely originally started working for us out the front on the reception desk flanking her Mum (Debbie) who was our Head Receptionist at the time. Her love of animals saw her slowly spending more and more time out the back with the Nurses. Keely has always had an interest in animals and at a young age dreamed of being a marine biologist. Keely has since swum with sharks and looks forward to Shark Week each year. Outside of work you can find Keely with her family at their cabin at Barlings Beach, along with her love for sharks comes her love for the beach and the ocean, she would spend all day in the water if she could. Rusty the Cocker Spaniel adores Keely and the rest of her family. Sara is our quiet achiever who is unflappable in the stress of surgery, she just gets things done – and done properly. Sara’s first pet was a black cat called Demon who actually belonged to her babysitter but after deciding he liked Sara a whole lot more, Demon changed addresses. The next pet looking for a home was Big Bob. Bob was a stray cat brought into Hall Vets un-microchipped with no identification. A health check revealed Bob had FIV so could not be adopted. With very little persuasion Bob went home to live with Sara, her partner Aaron and her son Murphy. 2016 saw another four legged fury friend join the family, Earl the Pug x Chihuahua who makes up for his lack of size with his huge personality. 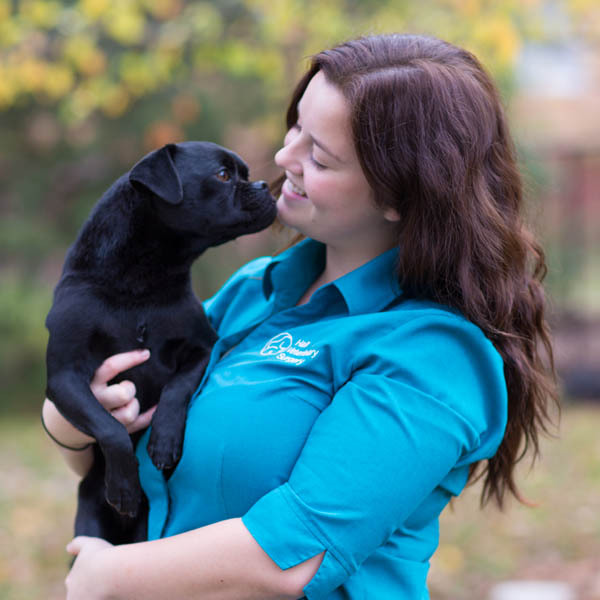 Sara is studying Pet Nutrition and runs our ‘Belly Busters’ weight control program for pets. That theme of always wanting to work with animals recurs when talking with Paige; she has always known that this is the job for her. As a child she saw the movie ‘Beethoven’ and wanted a Beagle. She begged her parents endlessly until finally they decided the requests had gone on long enough to be more than a passing fad, Missy the Beagle then joined the family. Paige is now Mum to a very pretty young Kelpie called Miah who has never met another dog she didn’t just love! Each year Miah represents Hall Vet Surgery at the Million Paws Walk and leaves her human friends in the dust with her seemingly never ending energy supply. Eliza (Ella) Russell. Ella is our enthusiastic and energetic head nurse who is always ready to get stuck in and does so with a smile! Ella has a love for anything PUG! Her Pug x Jack Russell, Morgan has her own wardrobe filled entirely with pink attire. Also at home is the rescue dog Ted, a Poodle x that Ella’s parents just couldn’t say no to and Ella’s own crazy collection of distilled creatures. Between her roles as Head Nurse at Hall Vet and Emergency Nurse at AECC, Ella also somehow manages to find the time to represent Australia in Women’s Baseball, compete in dancing competitions and be an avid traveller, all this while building her own home. Ella makes everything she does look easy and fun. With her happy disposition and incredible skill and knowledge she is just the kind of person to be a great head nurse. 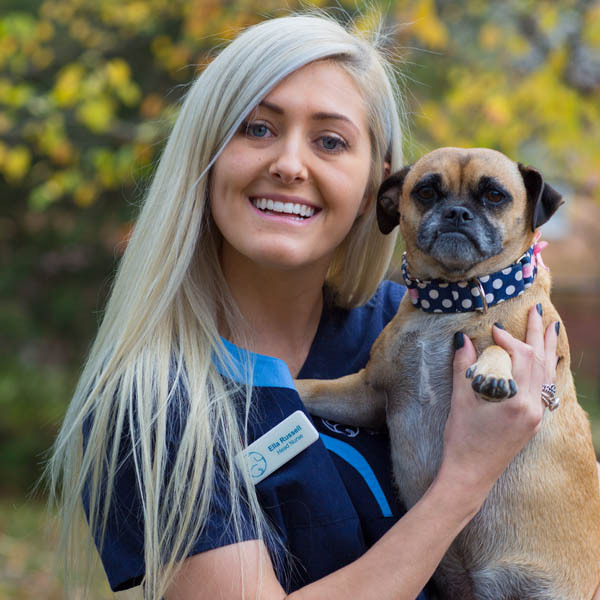 Maddy started at Hall Vet as a receptionist and took to it effortlessly. She has also assisted running puppy classes and is in charge of social activities for Hall Vet staff. Home life for Maddy has always revolved around animals. Currently she has Chester a ShihTzu x which was her 9th birthday present, Chester’s best bud and rescue dog Benny the maltese/ShihTzu x, Marley the very photogenic ragdoll cat and Marley’s shadow, Doug the mystery cat. Doug was a 1 of the 6 kittens in the litter hand raised here at Hall Vet in early 2016. Maddy spent 6 weeks exploring Europe in 2015 then welcomed 2016 by spending a week in Bali, and is already planning her next adventure. Pauline is a graphic designer turned dog trainer and aren’t we ever so grateful for the change of industry. 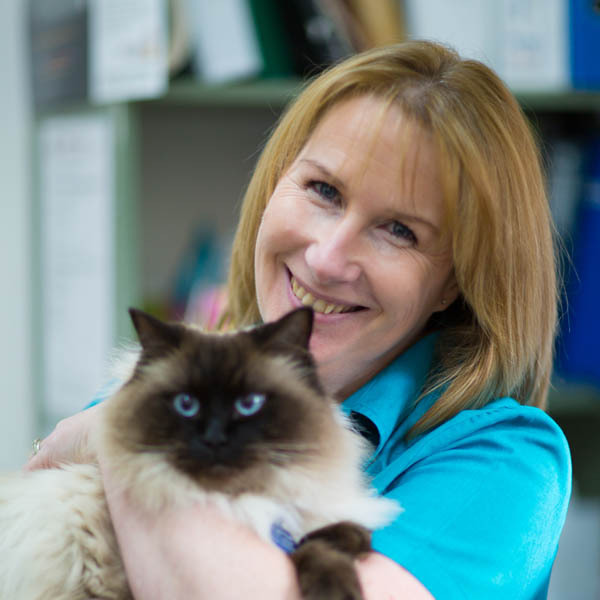 Pauline brings an abundance of knowledge to the team; she has worked with the RSPCA for the past 10 years training the most challenging pets of them all, with compassion, unwavering patience and dedication. Pauline gained her Certificate IV in Veterinary Nursing in 2015 to add to her impressive list of qualifications, and what a caring, genuine and empathetic nurse she has become. Pauline runs our Puppy and Adolescent training classes and also offers one-on-one training classes for the dogs that need individualised training. Rinny is a very knowledgeable asset to our team. She has been working in the industry for 21 years and nursing for 15 of those years. Corinne had a love of animals from a very young age, growing up she was the owner of lambs, budgies and even a calf. 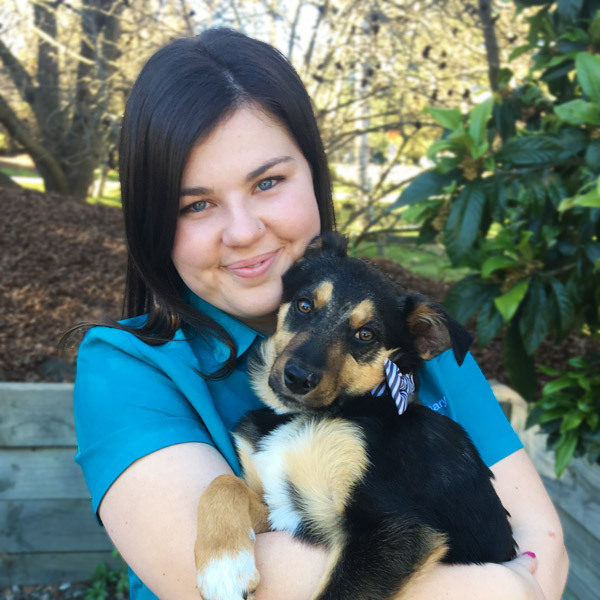 Rinny found herself volunteering at the RSPCA as soon as she was old enough and she has never looked back. Her special interests include Medical nursing and dentistry. Rinny is Mum to 2 boys, Toby and Oscar who keep her very busy. In her (limited) spare time she loves gardening, puzzles and watching movies. Rinny lives in Harden and really enjoys the country lifestyle, as do her dogs Hank the Cavoodle and Fern the Kelpie and her spitfire kitty Dakota. You will find Sam working as our Consultation Nurse at Hall Vet. She has a passion for pathology and spends most of her day running blood tests, preparing samples and slides for vets making up your pet’s medication. Sam lives in Harden with her fiancé Steve, their daughter Sophie and their 3 fur-children, Haley the Rough Collie, Cogsworth the ginger cat, Gilmore the tabby and Arielle the Airedale. 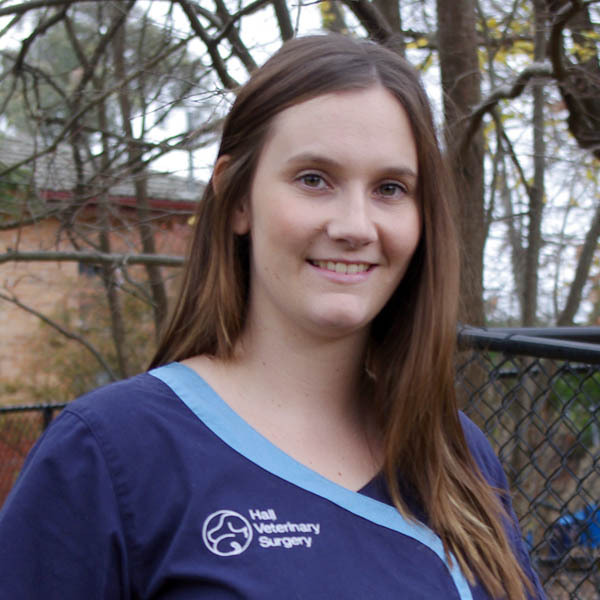 Sam has completed many courses in all aspects of veterinary nursing throughout her long career including Emergency and Critical care at the University of Queensland. Sam has passed on her knowledge and has trained and mentored many nurses throughout her many years of nursing. In her spare time Sam enjoys helping with the family business, being with friends and most of all being a Mum. Janet is our practice manager who makes things happen with an absolute minimum of fuss. Janet is originally from Fife in Scotland and immigrated to Australia back in 1987. She has 3 beautiful grown up girls, 2 gorgeous grandchildren, a ragdoll cat named Dexter and a grand-doggie Odi the adorable Border Collie. 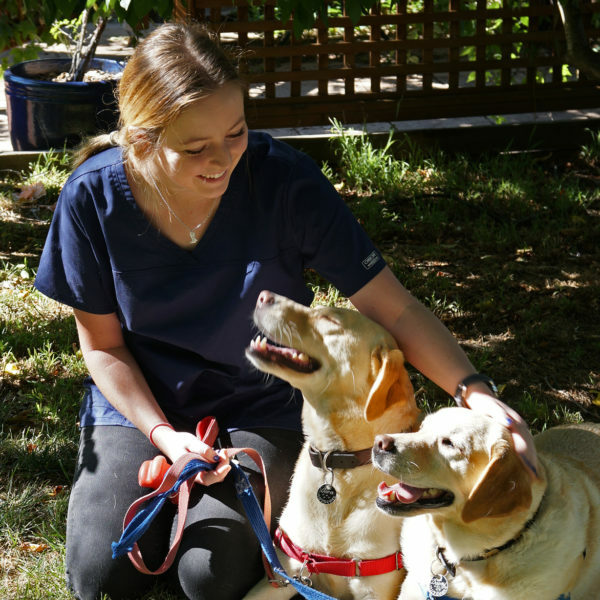 Like many vet nurses, being around animals is what Janet had always wanted to do, so when a trainee vet nurse position came up she jumped at the opportunity. 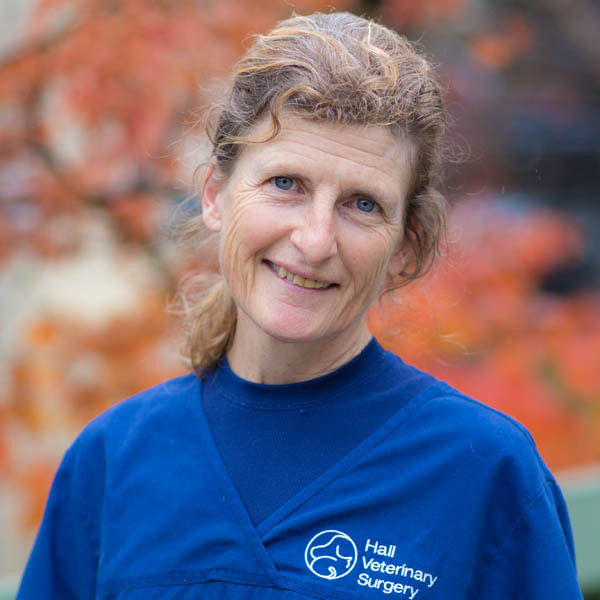 Although Janet had three young children and was working two jobs while studying her vet nursing certificate, she rose to the occasion and became head nurse, and went on to work another 11 years at that practice. It’s this ability to multitask that makes Janet the perfect practice manager. Andrew is our Office Manager and our ‘Go-To’ guy for anything technological! If there is a problem, Andrew can fix it. Andrew and Helen married in 1985 and three years later he quit work at the ANU Computer Services Centre to take care of their then 1 year old son, Glen. Once Glen and Joseph were both at school, Andrew inherited all of Helen’s paperwork and he has stayed in that role ever since. Nowadays he spends a lot of his time developing our webpages and maintaining our computer network as well as managing the office and fixing whatever it is that needs fixing. Andrew shares his passion for bushwalking and Hatha Yoga with Helen. Andrew also loves playing music, including classical piano, ukulele, blues, Macedonian accordion, Indian tabla and singing in Georgian. 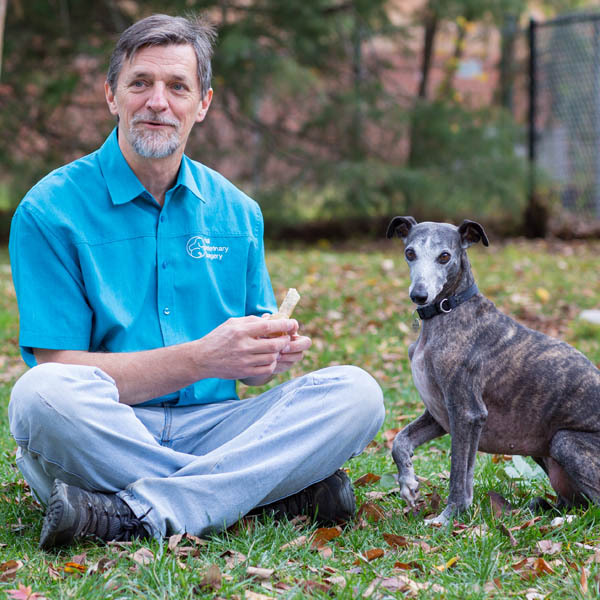 Our support staff love meeting your pet and hearing their special story. 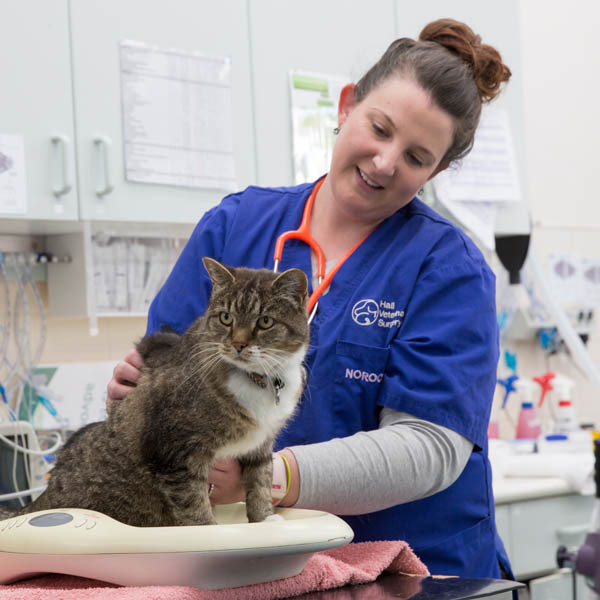 Our nurses have a Certificate IV in Veterinary Nursing as a minimum qualification with many of our staff having Diplomas in Vet Nursing or other specialisations such as Nutrition, Emergency and Critical Care, and Animal Behaviour qualifications.